Forget it if you're a vegetarian. They eat meat. A lot of it. Mostly schwein (pork). And they have eleventy billion ways to prepare it. Same goes for potatoes. They think Americans are polite and independent. The former surprised me, the latter was more of a "doh" moment. I mean, independence isn't one of our founding principals or anything. There are two things that a German will never give away, and the order is important: their car and their wife. They are constantly shaking hands. Meeting someone for the first time? Shake hands. Saying goodbye to someone? Shake hands. Passing a random stranger no the street? Shake hands. Just kidding on that last one. No one would ever get anywhere if that happened. They are direct and blunt. You would be looked at funny if you asked someone, "I would like you to repeat that please." That's far too polite, not to mention far too long. 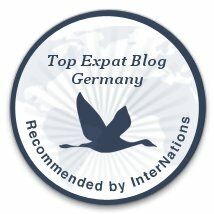 German's just say, "repeat that," effectively taking the 8 word English sentence and reducing it to 2 words. They might add a "bitte" in there if they are feeling particularly chatty, but most likely not. Efficiency in everything - even speech - is highly valued. There is a reason that the German trains are known for being on time. If you waste their time, they will be very displeased, and they will let you know it. They have THREE years of nearly-fully paid paternity leave. And the husband and wife can split this up between the two of them as they see fit. Now I understand (not necessarily agree) with the reason they ask applicants if they are planning on having children at all. Germany is approximately the size of Montana and has over 8 MILLION people living there. Talk about crowded. When you toast with someone, make sure you look them in the eye as a sign of good luck. It doesn't matter if your beer gets spilled in the process. I'm sure there are lots more interesting facts about German culture. If you have any, put 'em in the comments! EDIT: Number 9 states the population is 8 million. It is in fact 80 million - even more crowded. I apologize for the typo.